Having fun riding along the lake, out to the mountain bike trail north of Hutchinson, MN. Here a couple of local high school students ride out to Stahls Lake Park to practice their trail riding technique. 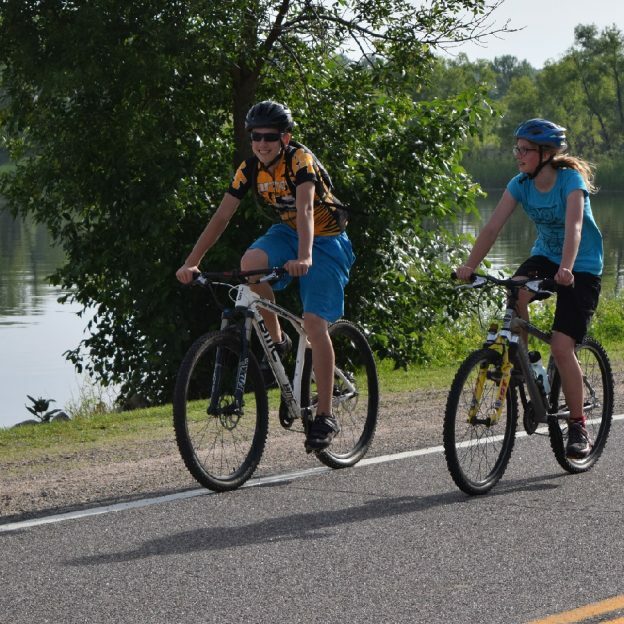 This entry was posted in News and tagged #findyournext adventure, #onlyinMN, Hutchinson, Hutchinson Area Mountain Bike Association, Minnesota High School Cycling League, MN trails, Stahls Lake Park on July 2, 2016 by Russ Lowthian.